We welcome any questions or comments on any of these topics. Although this is a BLOG site, we will return to each of these topics on a regular basis to update each of the sub-topics. We will do our best to respond to any questions, comments or concerns as soon as possible. 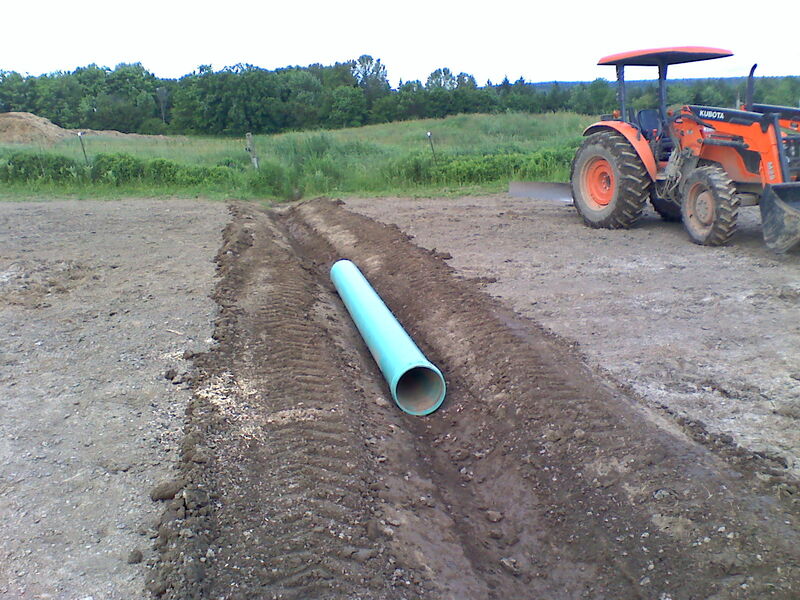 The intense and continuous “wet weather” conditions in the Spring of 2011 have shown that even our 2010 drainage system upgrades needed additional work. 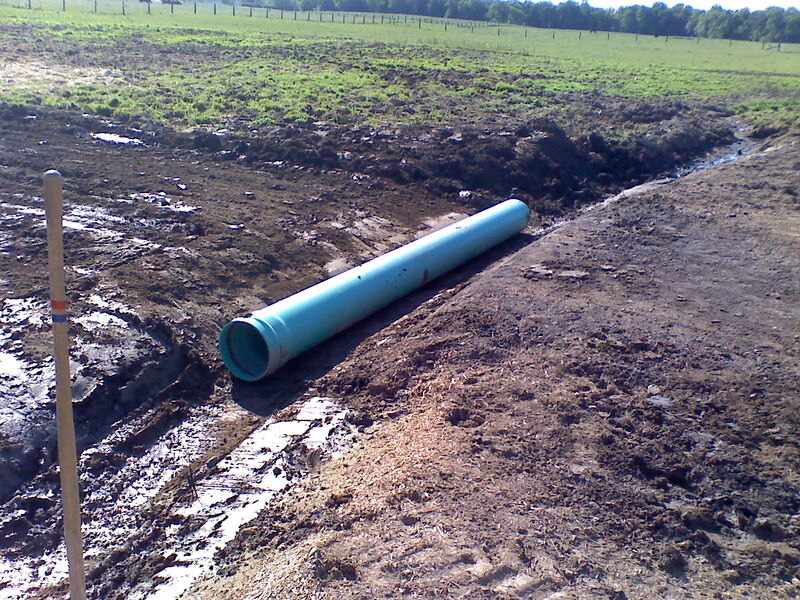 Previous projects had resulted in the addition of drainage ditches in the main fields on the south and east side of the property and the installation of culverts in the “crossing areas”. Unfortunately, the culverts were not of sufficient size to handle the large water flows experienced in the Spring of 2011. These have now been replaced and the water is flowing freely into the off-site drainage areas. Work is ongoing to also improve the drainage in the paddock areas, where possible. If you are in these fields you will note that the culvert installation is now complete and a new pathway of “crushed asphalt” has been put in place. 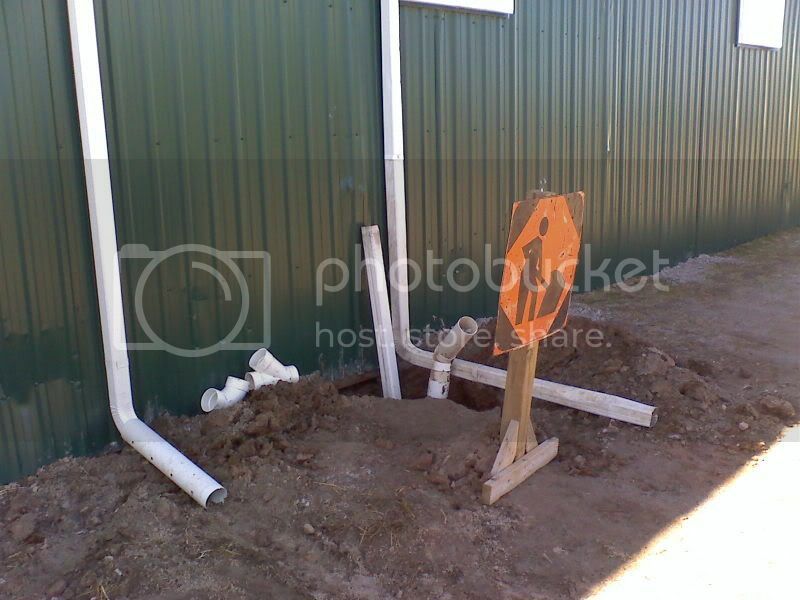 It was very obvious in the Fall of 2009 upon arrival at the site that there were serious problems on the property with stormwater control and the existing drainage systems. 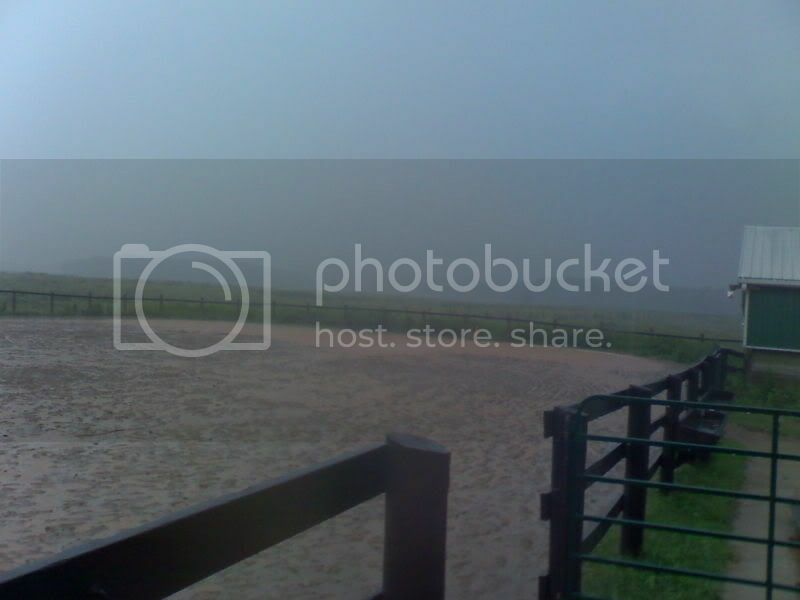 During an intense storm, many of the paddocks were flooded, the stormwater surged down the driveway uncontrolled, and the drainage systems in the fields overflowed and saturated the grazing areas. As the ground was already partially frozen and there were so many other issues to deal with at the facility, we had no alternative but to “put major work off” until the Spring of 2010. Where possible, new drainage ports were “hand dug” so that the water could at least get into the existing trenches – plugged as they were. 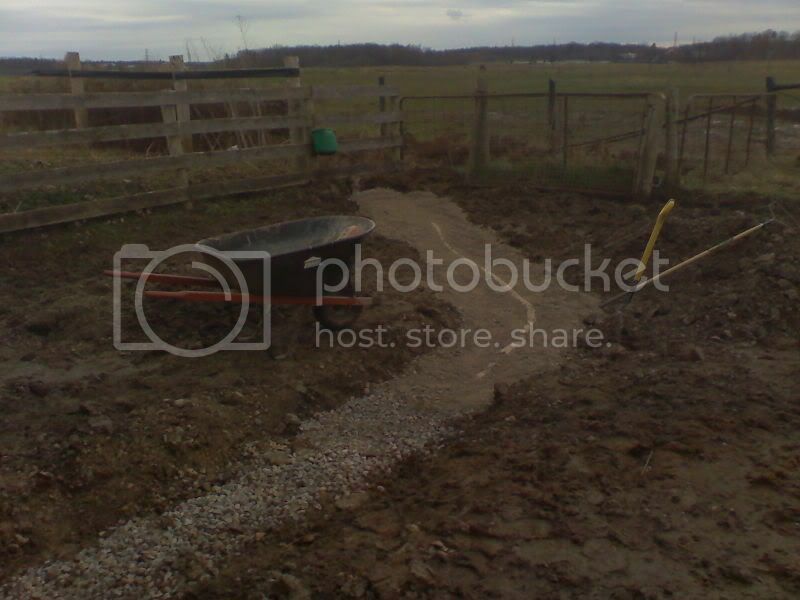 In some instances, such as at the WHITE STALL BARN, the problem was so severe that the Radisic Family (RF) assisted by bringing in a contractor to assist with the digging of a new drainage trench. 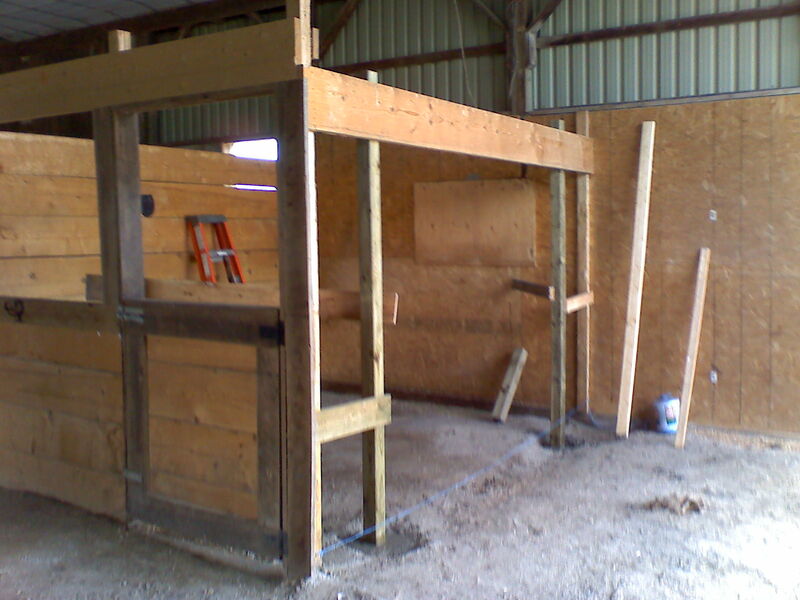 That process is covered separately under the WHITE STALL BARN RENOVATIONS. The “Horse Chutes” we also severely hampered by the pooling of water and thus the best that could be done manually was implemented. The rest would have to wait until spring. Both sand rings were plagues by stormwater drainage issues, and this matter continues to this date – although somewhat alleviated by the construction of new drainage trenches. The Barn A Sand Ring was so badly flooded in November 2009 that is was not usable on most days. As such, a “French Drain” was installed at the south boundary of the ring, leading to the new drainage trench that had been constructed for the White Stall Barn. Keeping this drain clear has required continuous attention and most recently the drain was washed out in the great JULY 2010 STORMS. 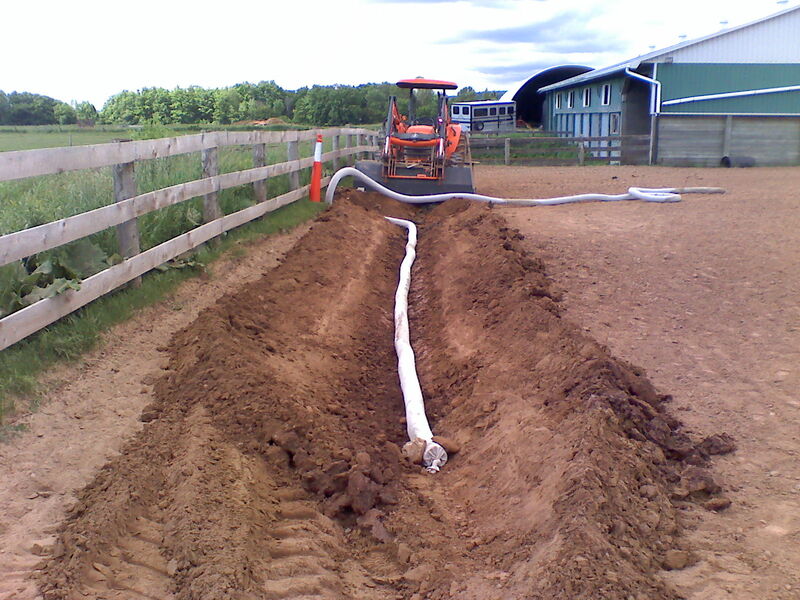 ongoing maintenance of the “Roadway Drainage” that goes past the “Shavings Shed” and out to the 24 Hour Field. 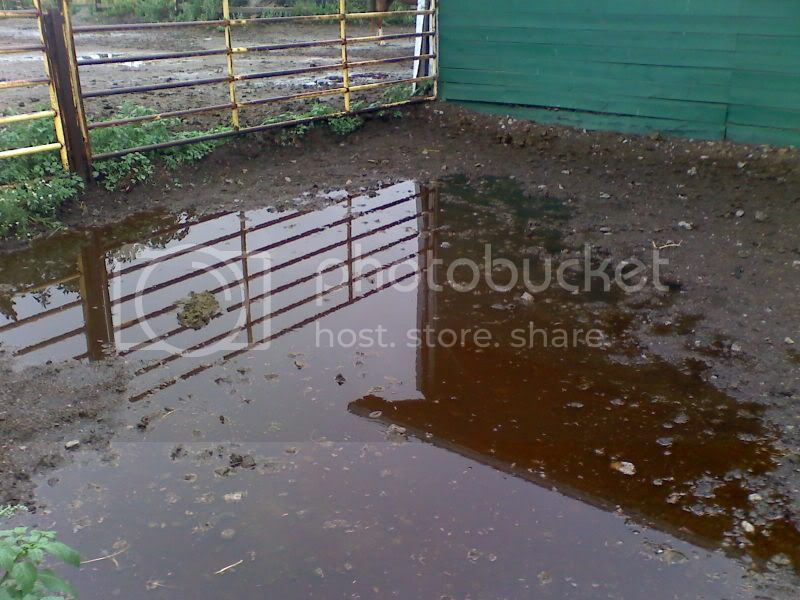 A big part of the problem was drainage from the roofs of the many barns on the property. 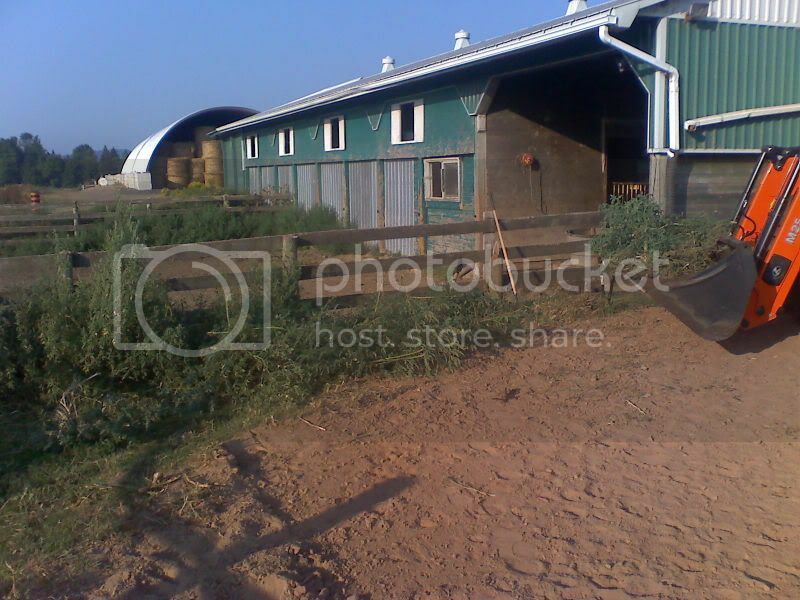 In the fall of 2009 the eavestroughs from Barn A were cleaned, as they were know to be a primary supply of clean water to the ponds, from which all the horse drinking water is retrieved. The eavestroughs on the Main Barn were is such a bad state that RF had to bring in a contractor, without question, to repair and clean those eavestroughs. Other areas, such as the Private Barn, Bank Barn and Run-In Sheds have not yet been addressed but are on the “Wish List” for 2010. Many of the downspouts from the eavestroughs discharge into incorrect areas, a problem that has not been totally resolved as of this date. Some of the areas have had extensions added to by-pass the troubled areas and some have on-site rainwater storage (Barn A) but many issues still have not been addressed. Initially we were not aware that the main drain under the “Shavings Shed” from the Barn A Concrete Pad was plugged. 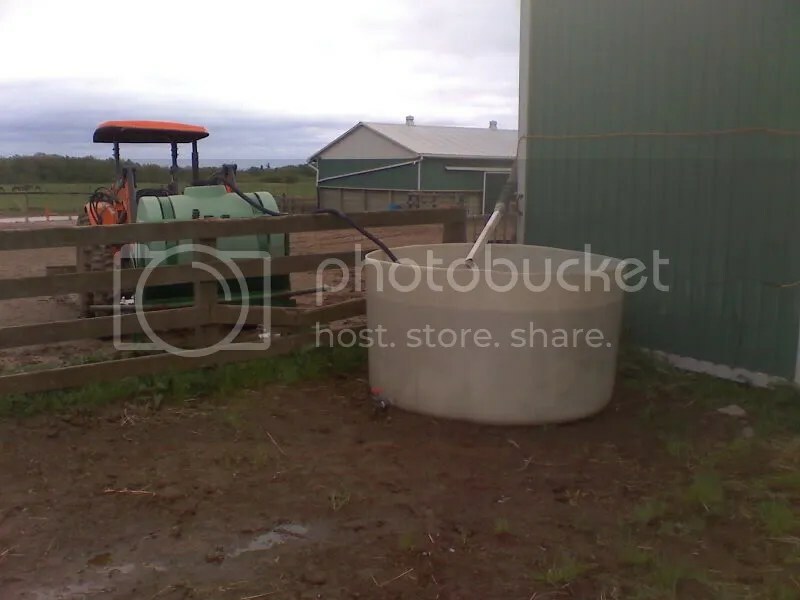 It was not until some of the major summer storms of July 2010 that it became apparent that the water was not going into the drainage trough and out to the back fields. 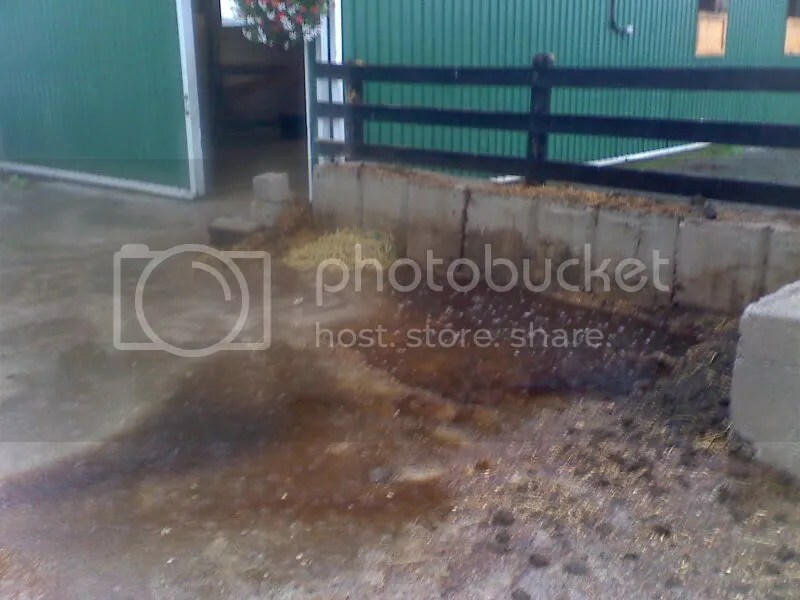 Instead, the water was overflowing the drainage troughs and going directly into the White Stall Barn as well as the Shavings Shed. 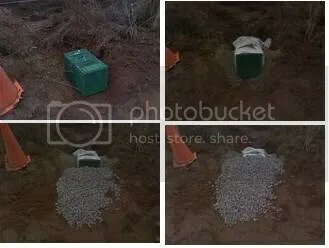 As soon as we observed this, the 2nd cleaning of the drainage trough was undertaken, at which time it became apparent that the pipe under the shavings shed to the back field was plugged. Preliminary estimates for a CONTRACTOR to come in and clear the pipe were $1,200 and that seemed a bit excessive. 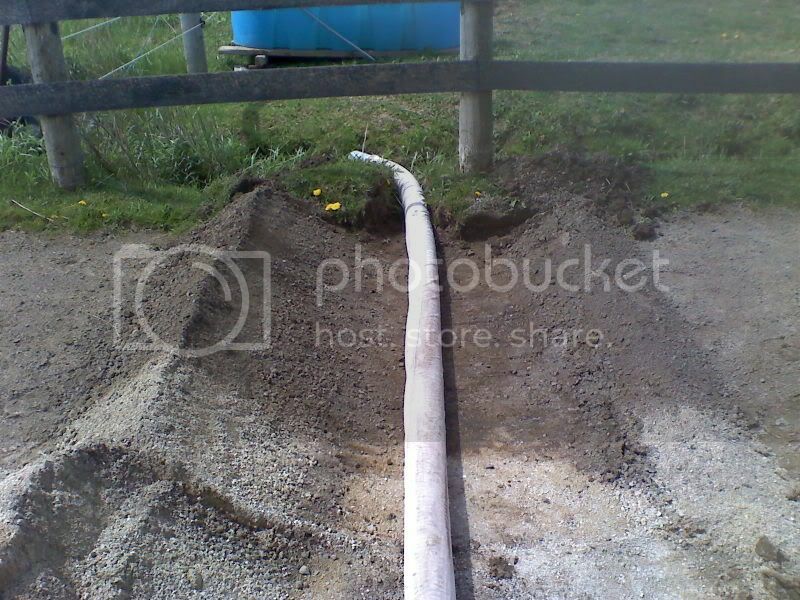 The alternative was to manually clean the troughs and “blow the pipe” from both ends with a rig built on a pressure washer. It took a few hours and then ….. WHOOSH! It was not a pleasant site or smell, so if you missed it – good timing! The next problem was to get all that mess out of the 24 Hour Field, thus the reconstruction of the drainage trenches in that area. For the past 6 weeks, all seems to be working well – and we have had a few more big storms. new culverts and drainage ditches are being installed in all the main problem areas. major drainage areas from the east and west fields must be monitored now that the drainage to these areas has been improved, as no action has been taken other than to get the water out into these fields. Stormwater control and drainage management will be one of the most important issues at the facility during the next year. It is a complex system, starting with the eavestroughs on all of the buildings and ending with the discharge of the water into the creek at the south of the property. 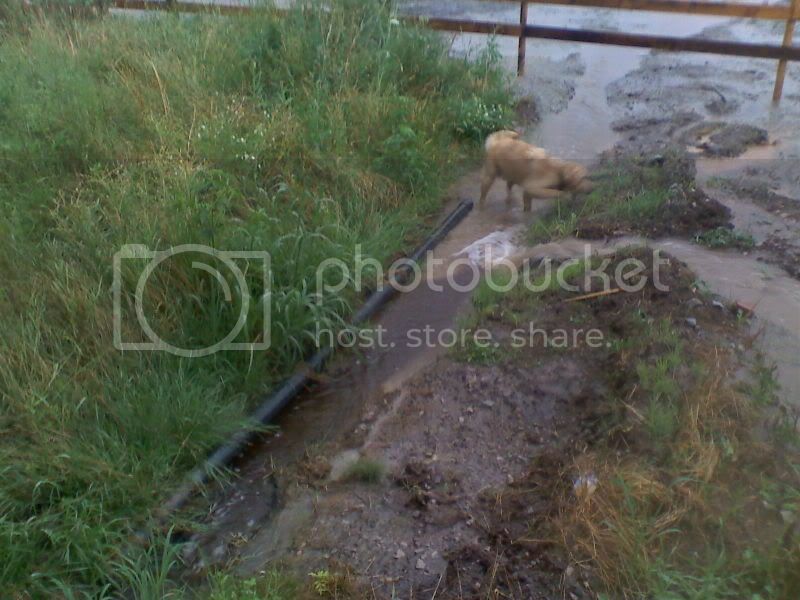 It impacts on the enjoyment of the property, the land use by the horses and most importantly the drinking water supply. Solving all of these problems will require joint action of LTS and RF and a plan must be put in place and acted upon quickly. 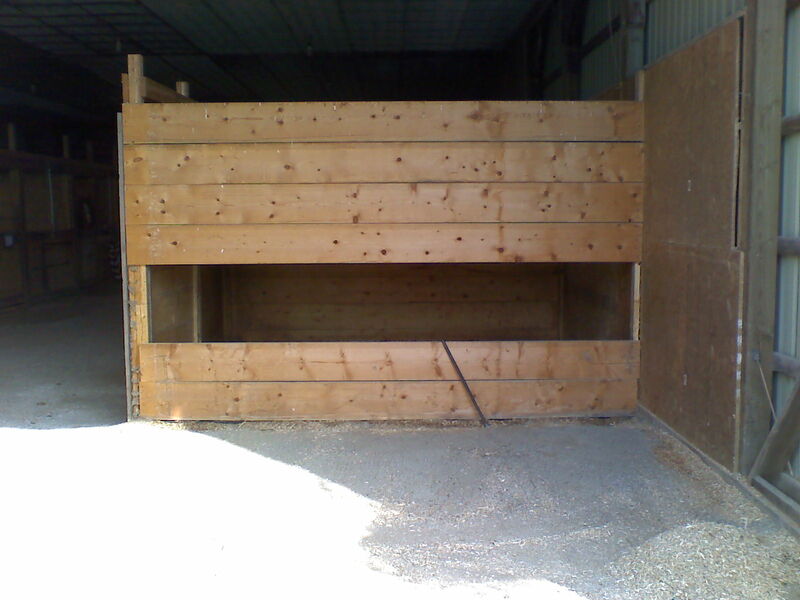 To the best of my knowledge, very little attention was needed to the Private Barn when LTS arrived in November 2009. There were so many other “Serious Problems”, the conditions in the PRIVATE BARN did not appear to warrant immediate attention. Routine maintenance issues were dealt with on a daily basis, in cooperation with the owners and boarders. 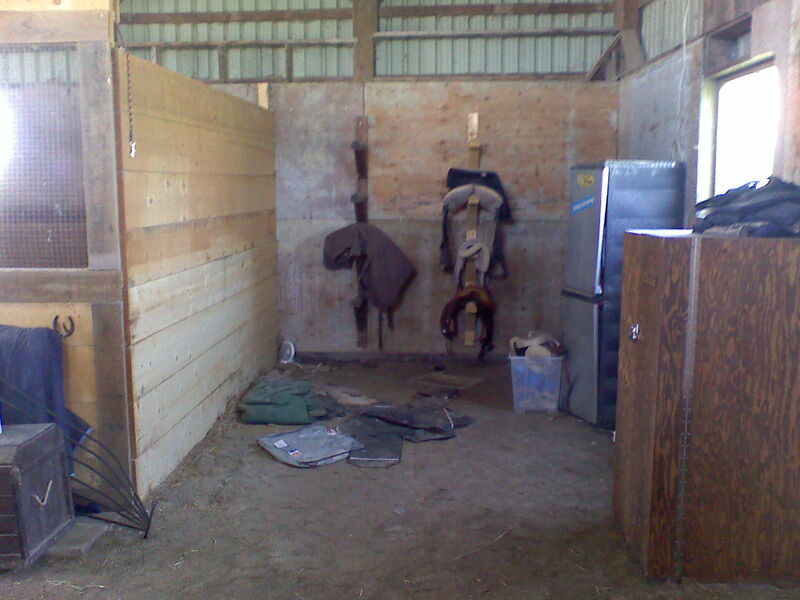 The previous tenants appear to have built the stalls in the “Private Barn” with little or no attention to the “power of horses”. 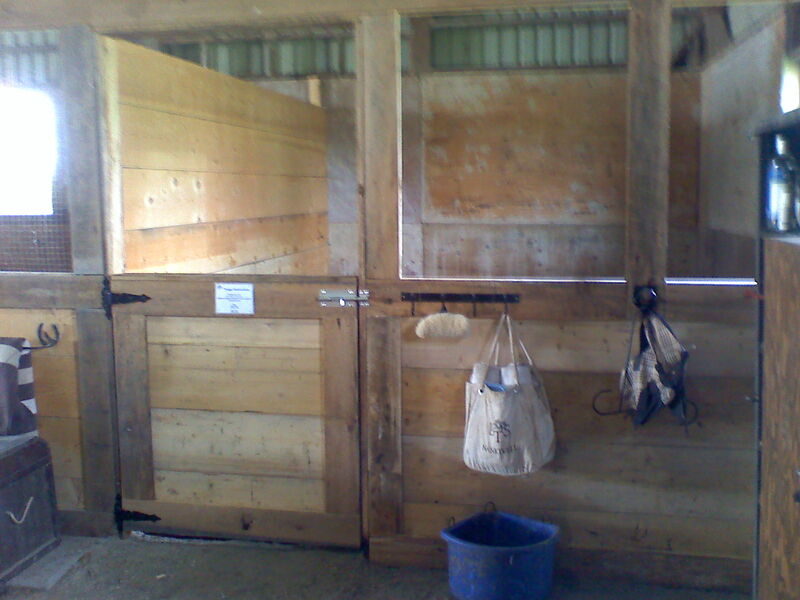 As such, many of the stall wall boards have been “kicked out” and doors have been “dislodged”. LTS had attended to the repairs on each instance this has occurred. Unfortunately it is the poor planning and construction of these stalls that has resulted in these problems. The electrical in the barn appears to have been discontinued at some point as not all circuits are complete and the panel box is in disarray. LTS has addressed these issues on the “safety issue” side but additional work will be required before any new services can be added. upgrading of electrical system (if borders submit requests for additional services). 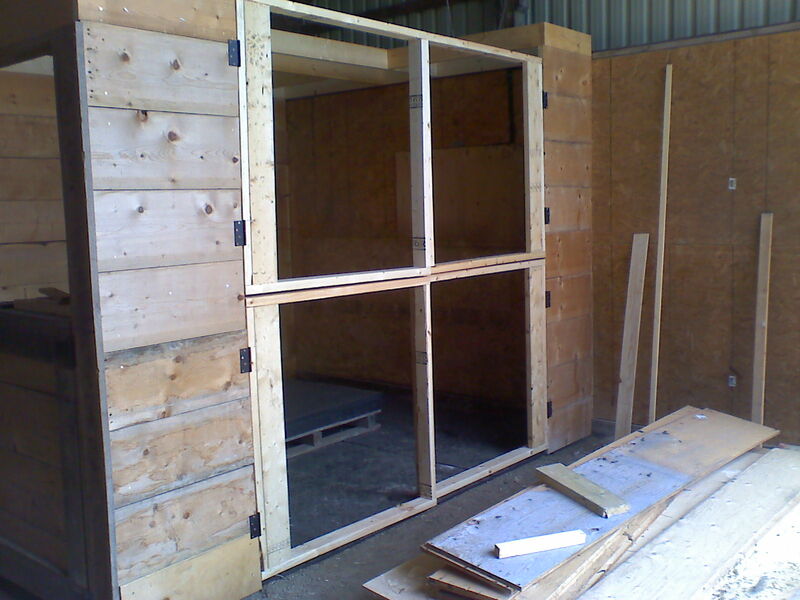 The “Private Barn” will require WINTERIZING now that the fixed windows have been removed. LTS has also asked the boarders to submit requests if they wish to have separate utilities installed (winter heaters, summer fans), but as of this date I have no knowledge of any requests having been received. Only then would LTS approach RF for approval for these additional utilities. 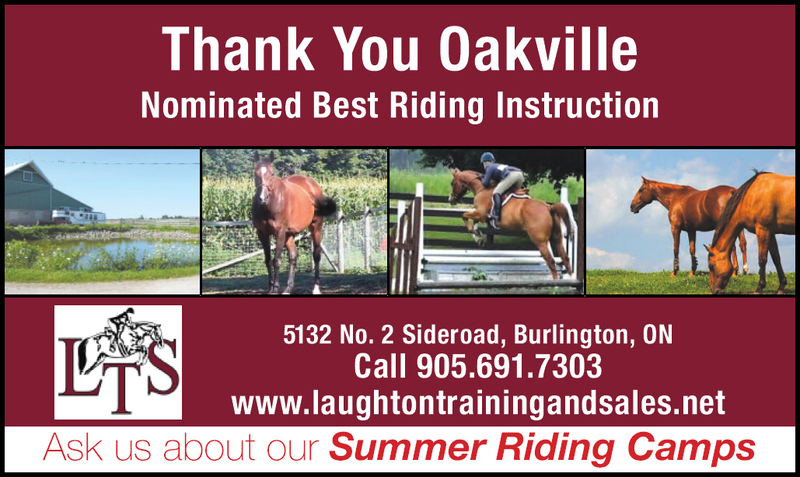 Check back later for information on LTS plans for the Private Barn currently under review. I note that this page does not show the new fencing that was added to the Small Sand Ring during the summer of 2010. That will show in the new photographs – and we are slowly moving the sand ring perimeter back to the fence line each time it is harrowed. Water ponding has always been a problem in the small sand ring, as described in the previous posts. In June 2011 (once the major spring storms had stopped!) a trench was dug at the south end of the ring and weeping tile was installed, with a gravel cover and subsequent replacement of the sand. During construction of the weeping tile system it was very clear that the ring had a SOLID BASE OF CLAY that did not allow for the drainage of any of the water that pooled on the surface. This may not completely solve the problem (that would require a complete reconstruction of the ring) but perhaps it will result in a “quicker recovery” of the ring after a major storm event. The following is from earlier posts about the small sand ring, prior to the above noted updates. Our Trusty Landscaper Hard at Work! That site now also includes all the photographs that Lynn Watts took during the initial days and weeks at the new site – so check those out. Any others are welcome as well. We all appreciate the great work that Shelly has done to “beautify the farm”. From cutting weeds to planting and caring for the flowers. Thanks to Shelly Speck-Cato, her “weed whacker” did a quick job on the accumulated weeds around the perimeter of the facility. That made a huge improvement in just a few hours. The weeds were all hauled to the “burn pile” and we all hoped they would not return. The small sand ring always had a pool of water in the south central part of the ring. The base for this ring is some form of colloidal clay, not sand, so it holds the water and turns into a slimy mess when it is wet. 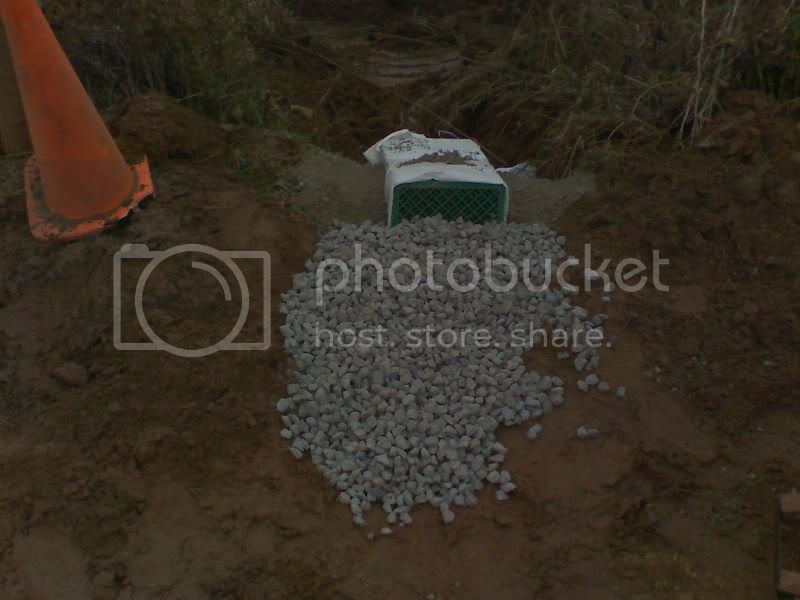 Early results were achieved by breaking through the south perimeter to install a “French Drain” that would allow for the water to drain away without washing away all the base material. There are a number of pictures of these works in the “Small Sand Ring Album”. 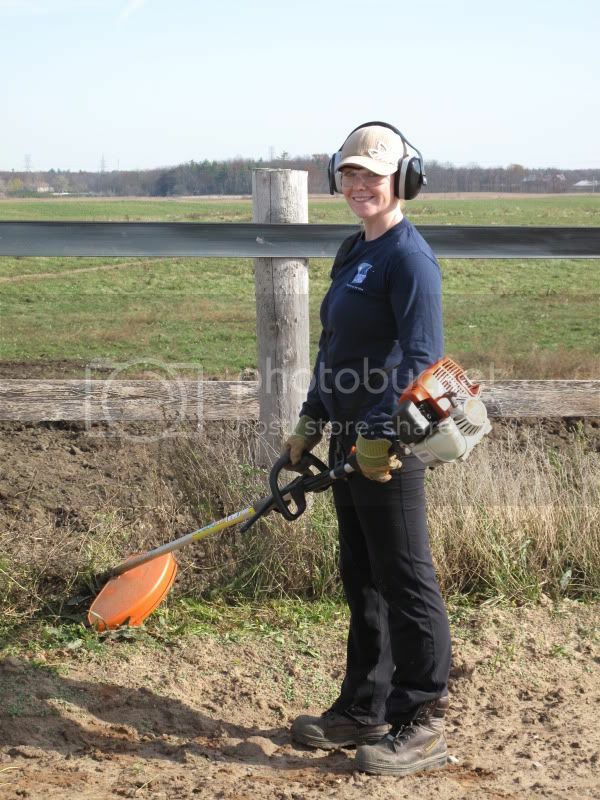 Unfortunately, I do not have a picture of Shelly hard at work on weed duty – but I believe that Lynn has pictures from those early days – calling Lynn for her pictures!! At the time, I was loading the weeds in the truck, never for a moment thinking we should preserve this first day on film – what a mistake! The spring and summer rains of 2010 kept us busy trying to cope with the water in the small sand ring but no significant additional work was completed – until the July storm more or less washed out the November 2009 drainage system. Lynn and Olga spent a lot of time picking up the rocks that arrived after every storm and the LTS “Harrowed Team” did their best to keep the sand ring in a usable condition. The footing in this sand ring is “not sand” but rather some sort of dirt-clay mixture that is very hydrophilic (attracts water), which is not good. In the alternative a sand mixture is very hydrophobic (repulses water) and that is not good either. As such, our early thoughts were to mix the sand in the main arena and front ring with the clay in the small arena and small sand ring, in hopes of arriving at a suitable condition in all rings. Other pressing issues have never given us the time to test this possible solution. We have just completed a new cleaning of the small sand ring, removing all the weeds on the perimeter, extracting the rocks (okay they were boulders in some cases), and extending the perimeter of the small sand ring as far as possible. 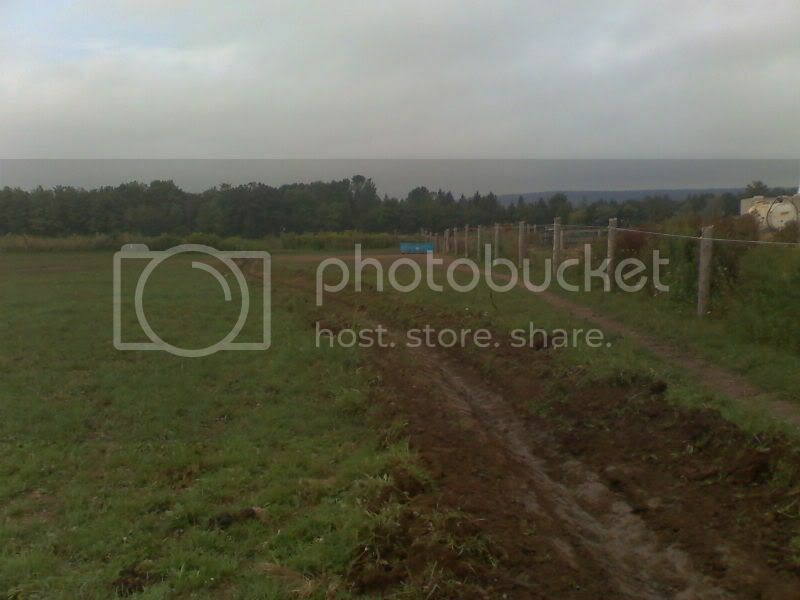 There are new photographs of the revitalized small sand ring in the Photobucket album. During the next few weeks we will assess the drainage from the site to see if has improved. I suspect that in the future we will have to install sub-surface drains in the south area of the ring that feed to the re-built french drain. That is a big task, as the drains will need to be deep enough that they are not impacted by the harrowing of the arena. Mixing of the sand and arena footings will probably take precedence over that drainage project, as that may solve many of the problems. others who you feel would vote for us! Thank you all for your support & business throughout the years & making this a possibility!!! You have to register to log on and then can vote in the different categories. Note from LTSFM: If you register and do not get a confirmation e-mail, check your Junk Mail folder as that is where they seem to go immediately. 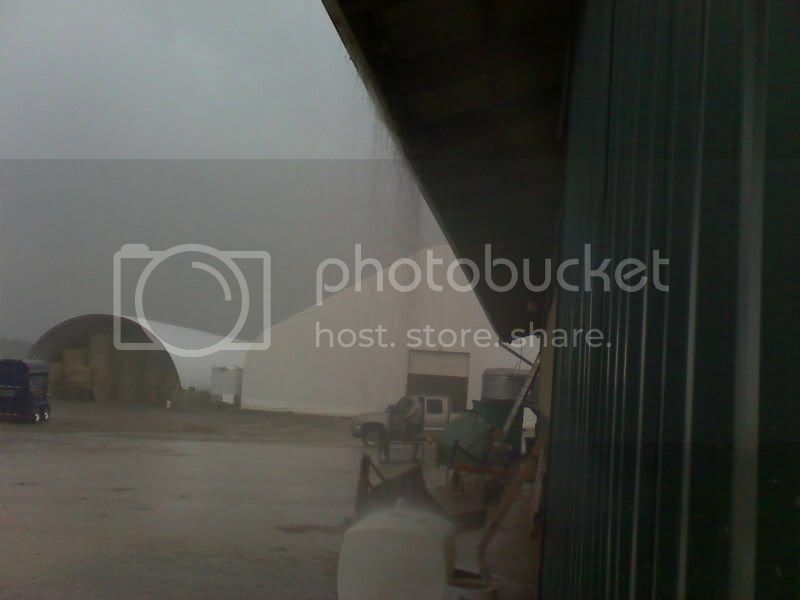 Well here it is the 1st of May 2011 and I hope we are going to see the end of this VERY WET weather at the LTS Operations. April has been a difficult month, not only for the horses who are often stuck inside or limited to the areas they can graze, but also for those of us that are trying to get the farm into “Spring Mode“. We are in the same position as the horses, as none of us can get out into the fields – as if we do we will ruin the 2011 grazing pastures. We are trying our best to make Spring 2011 Repairs but we are limited to the areas we can enter. It is so bad we have now even had to limit access to some of the paddocks. Not just at LTS – check any farm on the way to the barn and you will see that there is absolutely NO ACTIVITY in any fields – horses, cows, pigs, tractors – they are all still inside. A typical event of last week was the need to shut off the power to the electric fences in the “South Area” of the farm (Barn A, 24 Hour Field, Boys Field, Mixed Herd). The ground was so wet that the electric current from the fences was crossing over into the wooden posts – and from there into the metal gates. Quite a shocking experience! I tested them today (April 30, 2011) and they were okay so the power is back on for the southern fences. I will continue to monitor those on the wet days – but do BE CAUTIOUS if it is raining or wet – the fences and gates may give you a little ZAP! Unfortunately the power is still off in the north and east fields as they are still very wet and the horses have taken out a number of the fence areas. As such, neither the maintenance team and the horses have no access to those fields – but we are all hoping for some dry weather so we can get out into the fields again! 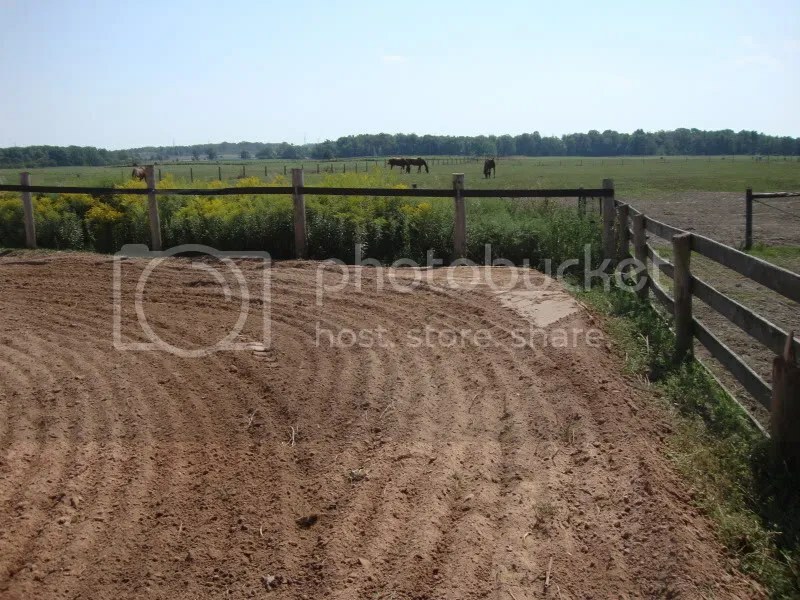 As soon as we can, we will get the fences put back up (there are a number of wires down and it is NOT SAFE for the horses to be in those fields). Also, if the horses chew up the fields now when they are so wet the summer grazing will be severely limited. So everyone “hang tight” for a while until the fields dry and we can get them ready for the Spring and Summer 2011 grazing season. 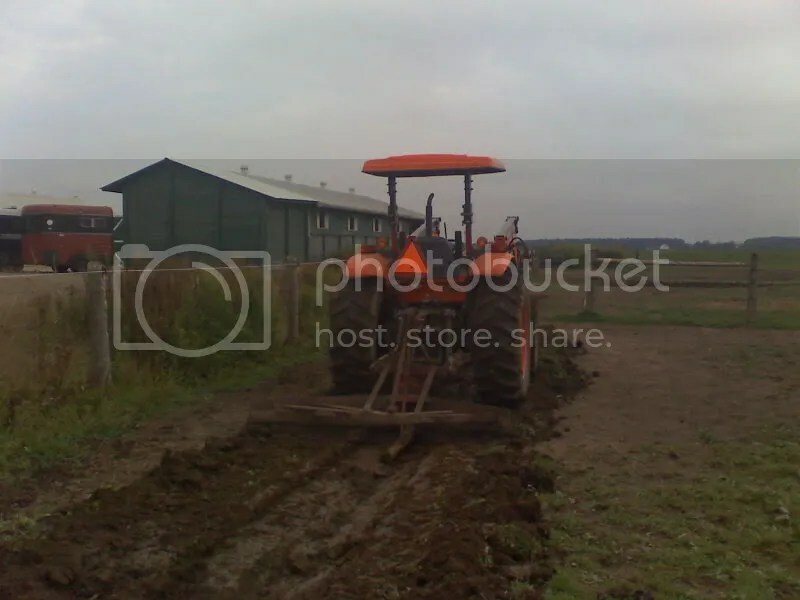 As soon as we can get into those fields we will also be retrieving all the rocks that came to the surface from the winter frost – so we will be able to cut the fields earlier in June 2011 to stop the weed infestation we had in 2010. 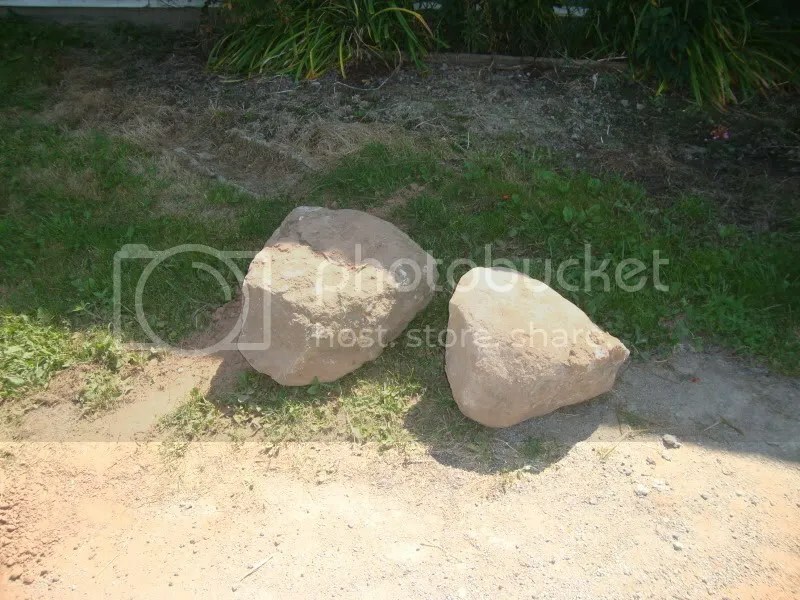 The fields can not be cut until all the rocks are removed – and if you want to “pitch in” that would be great – just make little piles in the field and I will pick them up later. Everyone is welcome to add comments to the blog if you see a maintenance item that needs attention. The LTS and Radisic team will get to them in priority order and as soon as they can be completed. Spring clean-up has been underway for a number of weeks now and we hope to have all the main maintenance items attended to by the end of the 1st week of May. The spring & summer water filtration system is back in operation and we will be doing a water line cleaning in the next few weeks – so if you see “brown water” don’t be shocked – it is iron residual from the well water system. 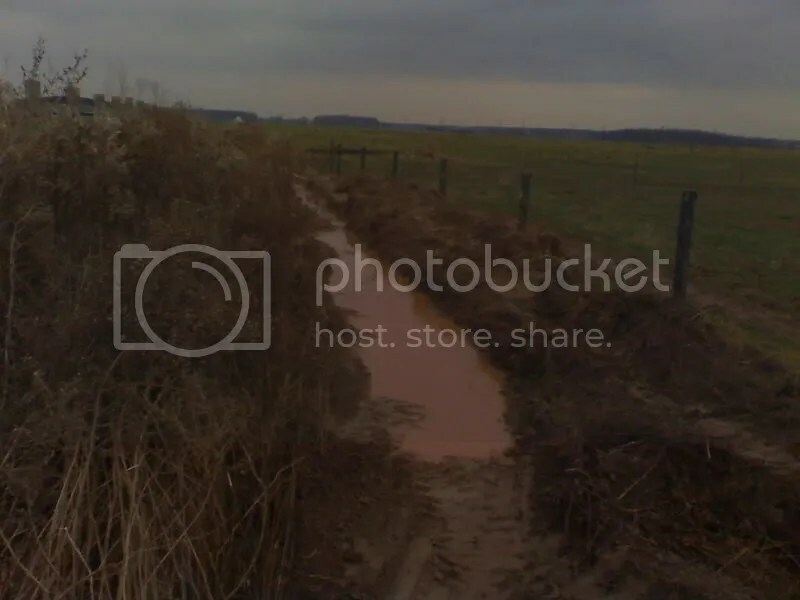 The fields are so wet we can not even get into the fields with the “Ditch Witch” to clear the drainage ditches that run through the fields. Those that are “outside” the field areas have been cleaned and that has improved overall site drainage. 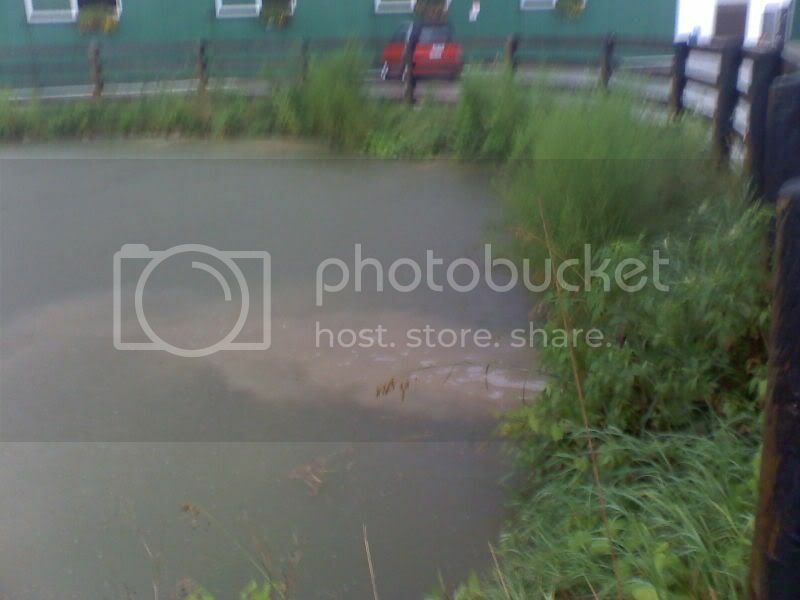 It is so wet this spring that we have even had to pump water OUT of the farm water ponds. In the past week alone we have pumped 156,000 gallons of water off the property and into Halton Watershed. That is 780 tons of water – a massive amount of excess rain! The ground is so saturated, there is no place for the current rain to be absorbed – it just sits on the surface. Any questions or comments – just ask! Remember the LTS Farm Management is also on TWITTER – so keep up to date with the most current news at that address!